closes 2018 more than 30 million turnover, 42 operating local and over 1,6 million customers. Aragon has a growing franchise 10% in the number of people regarding the 2017. Teaches immersed in a process of digital transformation from the 2016 and gets close 30% of reserves by digital media. Company Aragón certify the work being done by the franchise in the field of CSR. 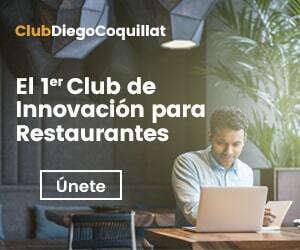 Aragonesa chain restaurants The Mafia sits at the table It closed the year with 42 local operating, 3 imminent openings and five other premises that are expected to open its doors in the first half of 2019. These openings this February already inaugurated the premises in Cadiz and in the coming weeks will open Lorca and Zamora. More of 1,6 million customers have eaten or dined at their restaurants assuming that an increase of 10% over the previous year, In the same way that total sales reaching double digit. These figures confirm the strategy that decided the direction in 2016 betting process management, digitization, updating local and commitment to service delivery. This commitment has allowed an increase in the 2018 in a 31,4% the number of customers who have used this service over the previous year and reach 5% of the total turnover of the chain. "It's a great year with a total turnover of more than 30 million and an average per local superior to 770,000 €. These numbers encourage even more to continue the growth strategy and aiming to close as this 2019 more than 50 operational units. "said Javier Floristán Managing Director. The company continues to increase its workforce with new additions to its core within strategic HR department as, operations and expansion to meet the challenges of the future always based on people. Total already has more than 700 employees. The work done by Elena Corzan in front of the RSC he was rewarded with certification as a socially responsible company and is recognition of the work of all these years.